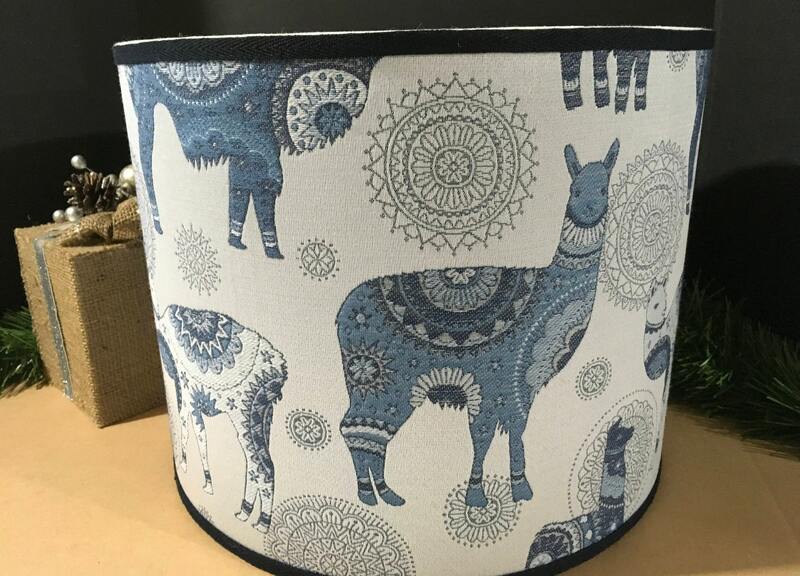 I have one 15" handcrafted lampshade that features a beautiful llama print in blue and indigo colors. It is an upholstery fabric that is rich in texture and stunning in person. 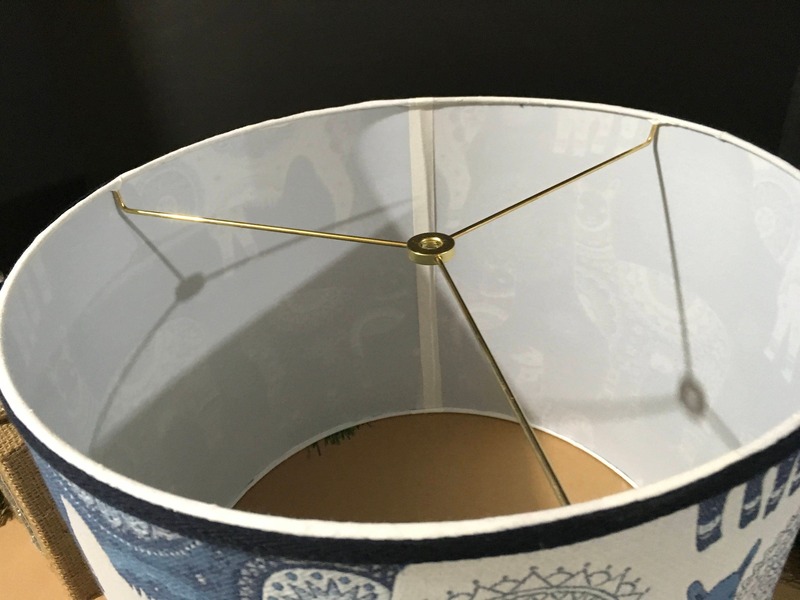 The fabric has been carefully bonded to heat-resistant styrene so you can use 60 to 100 watt bulbs in your lamp base. Clean up is very easy - just use a lint roller or clean, damp cloth. 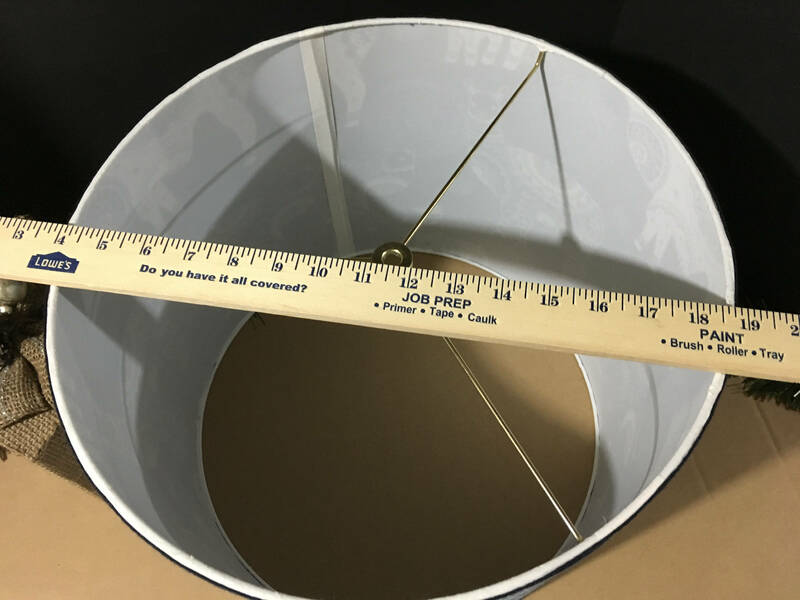 Please note that I typically ship using US Postal Service - and there is a bump in price when the packages exceed 14 inches. 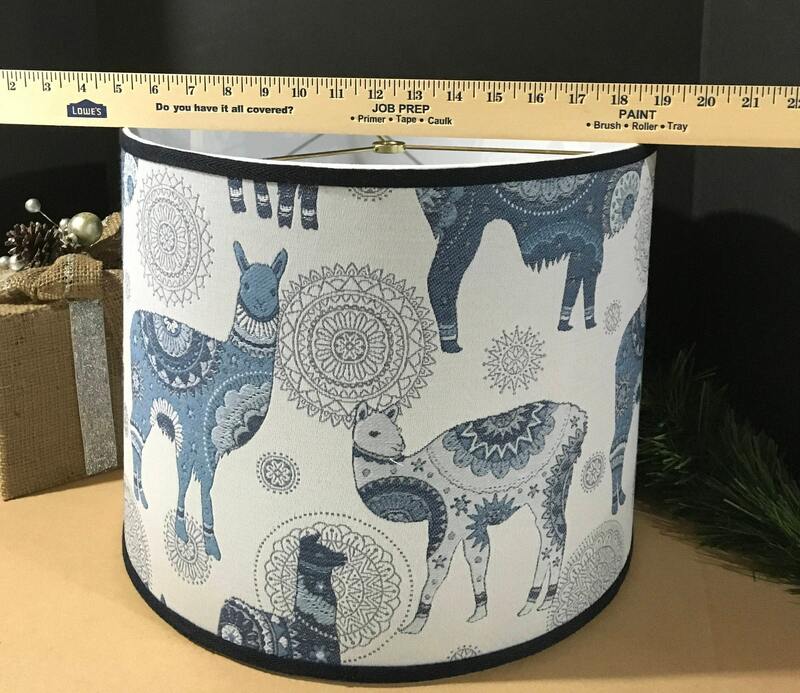 I pack the lampshades well and they do exceed the 14 inch guideline the USPS has established.